The City of London is an area of about one square mile, sometimes known as the Square Mile, on the north bank of the River Thames. The boundaries are basically the Tower of London in the east, the Temple Bar in the west and the River Thames in the south and Smithfield in the north. There are some big tourist attractions in the city. St Paul's Cathedral, The Tower of London, The Old Bailey, The Bank of England, Lloyds Building and Tower 42. 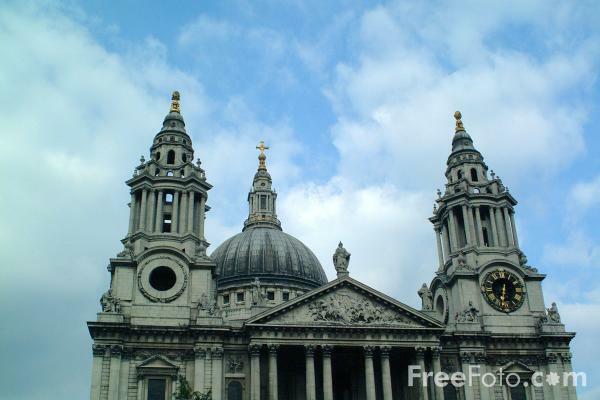 The present St Paul's Cathedral was designed by Christopher Wren as part of the re-building of London after the fire, and the building was eventually completed in 1710. The Lloyd's Building was designed by Richard Rogers, the same architect that designed the Pompidou Centre in Paris. Opened in 1986, it is one of the most well known modern buildings in London. VIEW: More images from the category The City of London - The Square Mile or around the same time .